Peyton Goes Back To Indy What’s In A Name? 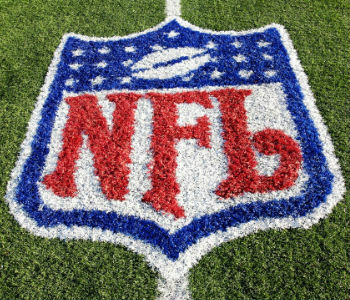 At this point in the NFL season back in 2002, all 32 teams had combined for a total of 529 touchdowns, a new record. The 2013 season has topped that mark with 542 TD’s. This year NFL Games are averaging 46.10 points per game which is the second highest of any season in league history. Dallas quarterback Tony Romo now has started over 100 pro football games for the Cowboys. Romo has racked up 27,485 passing yards in those hundred games and has won 59. That’s the record. Romo’s on top… and the next three guys? How’s about Dan Marino, Kurt Warner and Peyton Manning? All three of those great players are destined to be enshrined in the NFL Hall of Fame in Canton. Whether Tony Romo will be there beside them is still up in the air. Out in Arizona, wide receiver Larry Fitzgerald already has 422 yards on 32 receptions with four touchdowns. When he makes four more catches he will become the fifth fastest player to reach 800 career receptions. Being only just past 30 years old, Fitzgerald will also become the youngest player ever to reach that rare 800 catch plateau. Kansas City had the first choice in last year’s NFL draft. You know what that means? The Chiefs had the worst record of all 32 teams in the league. Then along came new head coach Andy Reid, fresh from Philadelphia, to take over the helm. Thus far Kansas City is still undefeated in NFL play… and they are the only one left. Funny that in Reid’s 12 years with the Eagles, they only won the first three games of the season one time. Go figure. Tom Brady and the New England Patriots led the league in 3rd down conversions last season with 48.7%. This year the Pats are only at 37.5% 28th out of 32 teams. It gets worse. In the past three games, New England has only converted 7 or 39 third down situations for a lousy 17.9 completion rate. No team in NFL history has ever allowed over 28 points per game at this point in the season and gone on to win the Super Bowl but the Denver Broncos are currently ranked 27th in the league for points allowed and yet handicappers continue to pick them as the favorites to win Super Bowl XLVIII in February. Finally, the Seattle Seahawks continue to be one of the most impressive teams in the NFL this season. In six games they have outscored their opponents by an astounding 172-62!